This observation shows part of Gorgonum Chaos, a large cluster of chaotic terrain found in the Southern Hemisphere. Many regions of chaotic terrain are found at the head of large outflow channels that were scoured by ancient floods. Gorgonum Chaos is one region that is not associated with an outflow channel. Chaotic terrain can form when subsurface volatiles (such as water) are catastrophically released and the overlying surface collapses. 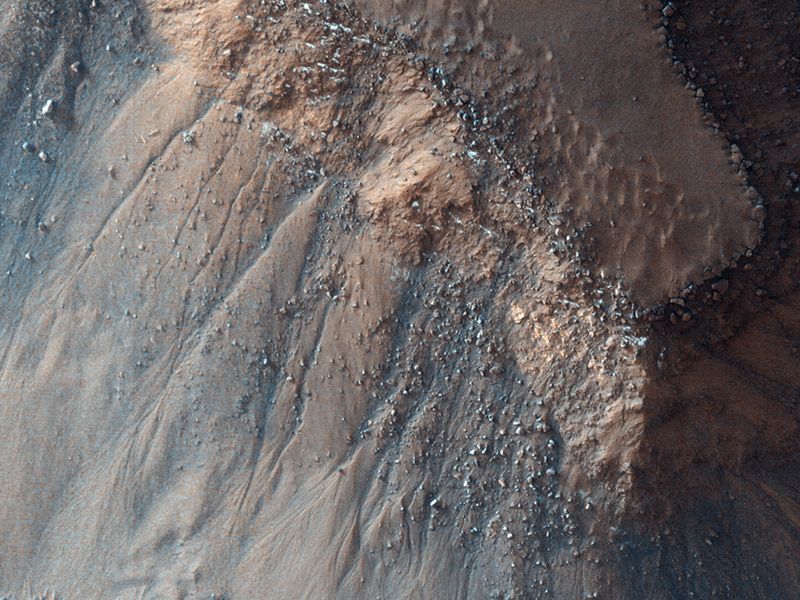 It is not known whether isolated chaotic terrain—such as that shown in this image—formed in the same way that the chaotic terrain near the outflow channels did. Wind erosion might play a role in their formation. Gorgonum Chaos is an especially interesting area because gullies thought to have been eroded by liquid water are located on its mesas (see subimage). 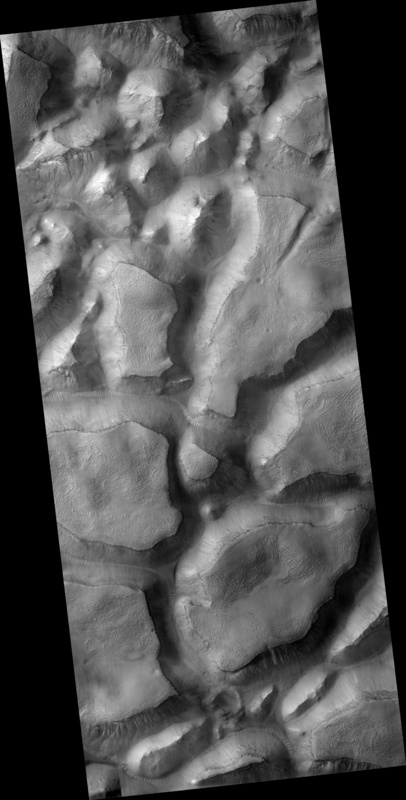 The gullies have a wide range of orientations and many appear to emanate from a distinct layer in the mesas (see subimage). It is not known why gullies form on one slope rather than another, but insolation (amount of sunlight received), availability of water, and regional slope are possible contributing factors.